Pittsburgh, November 12, 2013 - Doug Wolf has been promoted to Chief Executive Officer of Select International. Prior to this role, Doug served as Chief Operating Officer. Replacing him as the Chief Operating Officer is Brian Shivler. 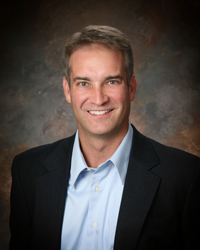 Doug Wolf has been with Select International since 1997, serving various leadership positions within the organization. In his new role as CEO, Doug will provide strategic guidance and oversight to all functional departments to ensure Select International achieves its business objectives. Doug has extensive experience working with organizations that have large-scale, national and global staffing needs. Doug received his graduate degree in Industrial/Organizational Psychology from the University of Akron and his undergraduate degree in Psychology from Wittenberg University. As COO, Brian Shivler will focus primarily on providing strategic guidance to Select International’s sales and marketing functions as well as overseeing the company’s strategic partnerships. Brian spent the first 8 years of his corporate career in the consumer products industry working with both Proctor & Gamble and Bauch and Lomb’s sales and sales management divisions. More recently he founded and served as the head of an international non-profit organization called Resolution Hope. Brian has led hundreds of key business strategy implementations with healthcare leadership boards and teams nationally as well as abroad and has been extensively involved with the design and development of several startup corporate divisions and international consumer product launches. He is a native of Pittsburgh, PA and a graduate of The Pennsylvania State University.